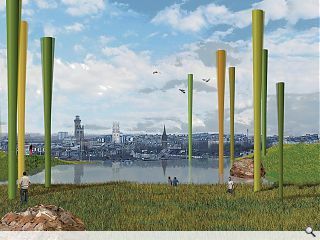 An outlandish scheme to install a Windforest on top of Dundashill, Glasgow, is to be brought forward after the renewable energy project was chosen for adoption by the Land Art Generator Initiative (LAGI, an international organisation dedicated to the conception of sculptural forms of renewable energy. 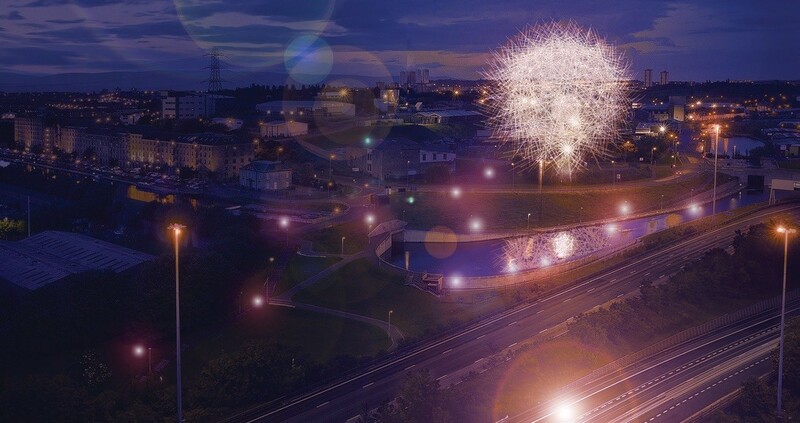 Situated on Dundashill, an area prioritised for regeneration by Glasgow City Council, the submission features a cluster of 13m tall wind turbines capable of generating electricity through oscillation and was one of three shortlisted schemes to be conceived in collaboration between artists, architects, engineers, scientists, landscape architects and urban planners. 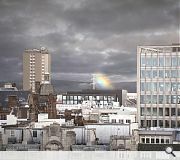 Drawn up by ZM Architecture, Dalziel+Scullion and Qmulus Energy together with New York based Yeadon Space Agency the winning scheme will now be subject to detailed design work as well as preparation of a business plan to make the project a reality. 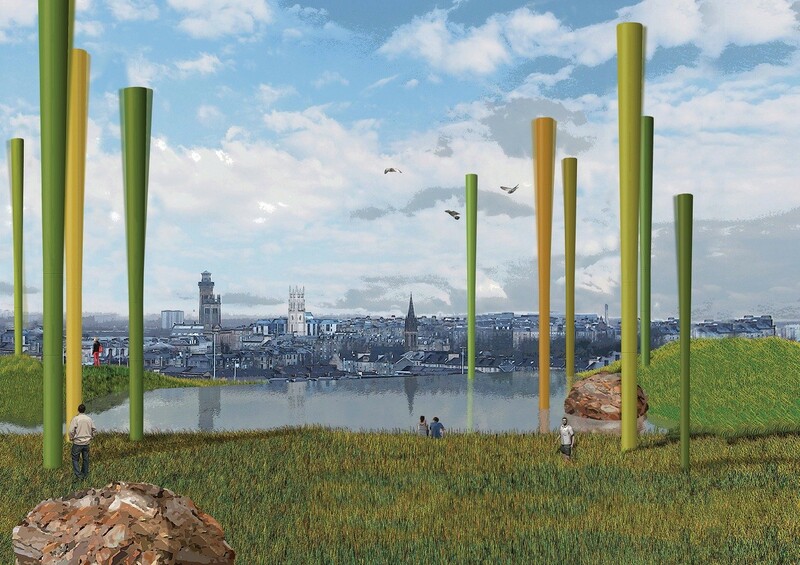 Runners up in the project included Dundas Dandelion, a tubular construction that aims to harness the power of the wind through vibrations rather than rotation. 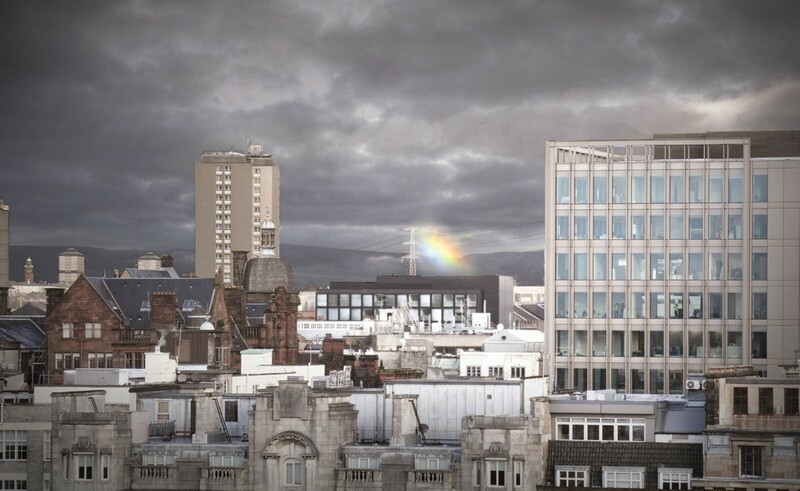 Designed by Stallan Brand, Pidgin Perfect and Glasgow Science Festival/University of Glasgow together with Matthew Rosenberg of Los Angeles based M-Rad it aims to put beauty back into energy generation. Another scheme to narrowly miss out was Watergaw, prepared by ERZ, Alec Finlay and partners who collaborated with Riccardo Mariano, which features an integrated array of devices including wind turbines, hydro electric turbines and a heat pump. 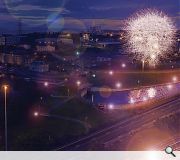 An exhibition of the winning designs will take place at the Lighthouse between 9 June and 29 July. The winning scheme looks great and most convincing. Congrats! Just make sure it works ALL THE TIME, unlike the one at Glasgow Science Centre. All three projects look fascinating, intrigued by the rainbow machine. The winner appears a wonderfully elegant proposal and very build able. Looking forward to the exhibition at the Lighthouse, congratulations to all involved. Looks like a great scheme. I wonder if we could see an additional turbine installed at the flagpol mound in Springburn Park, which is the highest point in the city but has been without a flagpole since the 1980s.